ISLAMABAD: The Pakistan Tehreek-e-Insaf (PTI) government is mulling to decrease the widening deficit of electricity and gas distribution in a bid to control the circular debt, which can badly hurt the entire economy of the country if not stopped immediately, said sources on Friday. 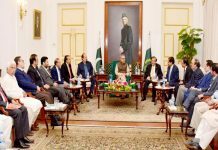 Sources in the power sector informed Pakistan Today that the government is considering various options to get rid of the menace of circular debt. In this regard, they added, the government is considering to reduce the increasing deficit of electricity and gas distribution, as these two main sectors of energy are causing persistent increase in the circular debt. The outstanding amount of circular debt (including that parked in power holding company) has swelled to a monstrous level of Rs1.2 trillion, sources said. Sharing details of measures being considered by the PTI government, the sources said that the immediate goal of the government is to stop the further build-up of circular debt. They said short, medium and long-term strategies are under consideration and likely to be pursued by the government as these strategies can yield significant positive results. They said the government is mulling to maximise the generation from National Transmission and Despatch Company (NTDC) network by shifting the industry operating captive power plants to the national grid and by increasing the supply of electricity from NTDC to K-Electric. Sources said that the NTDC system generated around 121 billion units in 2018. Out of the 121 billion units, nearly 100 billion units were billed to the consumers. There is a need to substantially increase the generation of NTDC network so that the mammoth and growing amounts of capacity payments are divided over a large number of units to avoid a huge increase in consumer tariffs, sources added. It has been learnt that the PTI government may revise natural gas tariffs, especially for industry and power generation sectors, while it is likely that the government might stop natural gas-based power plants that have the thermal efficiency rates of 40 per cent. Sources said a significant part of the industrial sector’s electricity needs are met by self-generation i.e., captive power plant running primarily on natural gas. They also said as the industrial gas tariff has been kept very low, a lot of inefficient capacity power plants have continued to produce electricity at costs lower than grid electricity tariffs. Inefficient power plants waste precious natural gas which increases the need for energy imports, thereby burdening the external account, sources said. 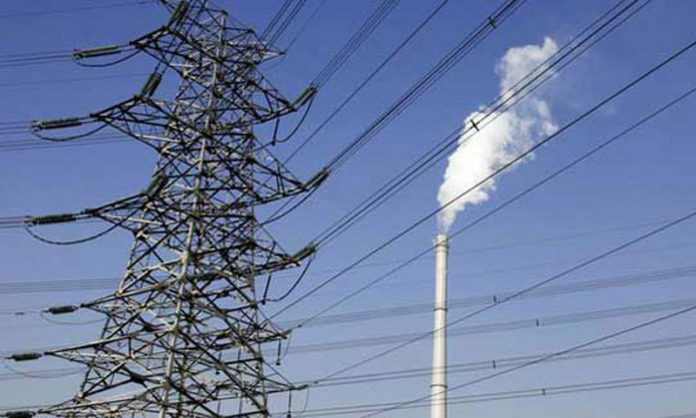 Sources in energy ministry said that K-Electric’s 1,200MW old Bin-Qasim Power Plant has a very low thermal efficiency (around 31 per cent). They said all inefficient power plants run by KE should be immediately shut down, adding that any shortfall in KE’s system can be easily met by surplus capacity available in the NTDC at a lower cost. “This shall be a win-win-win situation for KE, NTDC and the government, while a part of the natural gas freed from captive power and KE can be supplied to the shutdown fertilizer plants to meet domestic urea shortage,” sources added. Officials at the power division said the shutdown of oil-based power generation due to the commissioning of largescale capacities based on RLNG, coal and hydro sources might disrupt the entire energy supply chain and can create a bigger economic crisis. They said about 3.0 million tonnes of furnace oil is produced annually by local refineries. However, the absence in demand of furnace oil will cause lower refinery rates and even shutdowns. “This shall not only cause shortages of transportation and aviation fuels (diesel, petrol and jet fuel) but also result in the decline in local oil production,” said officials.